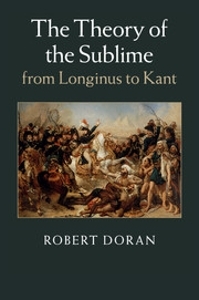 Robert Doran teaches courses on nineteenth- and early twentieth-century French literature and culture, in particular on the novel, romanticism, Napoleon, existentialism, and Paris. He also teaches courses on continental philosophy and contemporary French thought. His current research concerns philosophical aesthetics, in particular the concept of the sublime, literary theory, early French cinema (especially Jean Renoir), intellectual history, and historical theory. 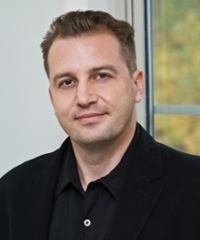 He is currently working on two book projects: Revolutionary Aesthetics: The Sublime in Nineteenth-Century France and The Ethics of Art. 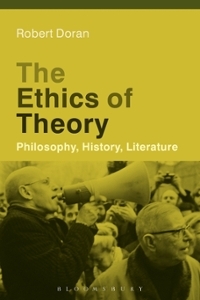 "New book explores ‘ethical turn’ of critical theory"
The Ethics of Theory: Philosophy, History, Literature. Bloomsbury, 2016. The Theory of the Sublime from Longinus to Kant. Cambridge UP, 2015. Editor. Philosophy of History After Hayden White. Bloomsbury, 2013. Bloomsbury Studies in American Philosophy. Editor. Mimesis and Theory: Essays on Literature and Criticism, 1953-2005. By René Girard, Stanford UP, 2008. Cultural Memory in the Present. Editor. Rethinking Claude Lévi-Strauss (1908-2009). Spec. issue of Yale French Studies, no. 123, 2013. JSTOR, www.jstor.org/stable/i23643867. Editor. Cultural Theory After 9/11: Terror, Religion, Media. Spec. issue of SubStance, vol. 37, no. 1, 2008. JSTOR, www.jstor.org/stable/i25195151. "Jean Renoir's Grand Illusion: An Antiwar Film?" (In)visibilities of War, edited by Isabel Gil, Palgrave, forthcoming. “Writing in the Shadow of Sartre’s Genet: Derrida’s Glas and the Ethics of Biography,” in Understanding Derrida, Understanding Modernism, ed. Jean-Michel Rabaté (London: Bloomsbury, forthcoming, 2019). Review-essay of The Eclipse of Reason by Martin Jay, Journal of the Philosophy of History (2018): 1-11. "Kant and the Theory of the Sublime: A Response to Paul Guyer." Nature and Freedom: Proceedings of the XII. International Kant Congress, ed. Violetta L. Waibel and Margit Ruffing (Berlin: Walter de Gruyter, 2018): 3007-3013. "Metahistory and the Ethics of Historiography." Metahistory Forty Years After, edited by Claudio Fogu and Kalle Pihlainen. Spec. issue of Storia della Storiografia, 65.1 (2014): 153-62. "Imitation and Originality: Thinking Creative Mimesis in Longinus, Kant, and Girard." 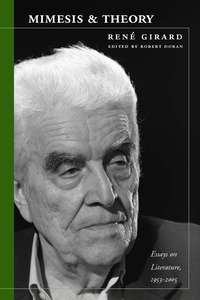 René Girard and Creative Mimesis, edited by Vern Neufeld Redekop and Thomas Ryba, Lexington-Rowman and Littlefield, 2014, pp. 111-22. "Sartre's Critique of Dialectical Reason and the Debate with Lévi-Strauss." 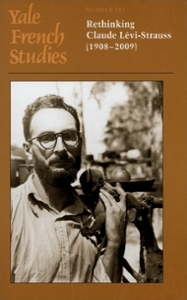 Rethinking Claude Lévi-Strauss (1908-2009), edited by Robert Doran. Spec. issue of Yale French Studies, no. 123, 2013, pp. 41-62. JSTOR, www.jstor.org/stable/23645874. "Choosing the Past: Hayden White and the Philosophy of History." 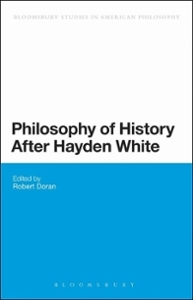 Philosophy of History After Hayden White, edited by Robert Doran, Bloomsbury, 2013, pp. 1-33. Bloomsbury Studies in American Philosophy. "The Work of Hayden White I: Mimesis, Figuration, and the Writing of History." The SAGE Handbook of Historical Theory, edited by Nancy Partner and Sarah Foot, SAGE, 2013, pp. 106-18. "Mimesis and Aesthetic Redemption." Rethinking Mimesis: Concepts and Practices of Literary Representation, edited by Saija Isomaa, et al., Cambridge Scholars, 2012, pp. 203-27. "René Girard's Concept of Conversion and the Via Negativa: Revisiting Deceit, Desire, and the Novel." Religion and Literature, vol. 43, vol. 3, Autumn 2011, 170-79. JSTOR, www.jstor.org/stable/23347096. "René Girard's Apocalyptic Modernity." Sagrado e Modernidade. Spec. issue of Comunicação e Cultura, no. 11, 2011, 37-52. "Ambiguity in Jean Renoir’s La Règle du jeu." Contemporary French Civilization, vol. 34, no. 2, 2010, 167-90. Liverpool UP Online, doi:10.3828/cfc.2010.18. "Introduction: Humanism, Formalism, and the Discourse of History." 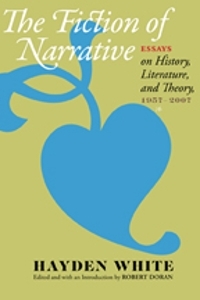 The Fiction of Narrative: Essays on History, Literature, and Theory, 1957-2007, by Hayden White, edited by Robert Doran, Johns Hopkins UP, 2010, pp. xiii-xxxii. "Erich Auerbach’s Humanism and the Criticism of the Future." Erich Auerbach, edited by Mario Domenichelli and Maria Luisa Meneghetti. Spec. issue of Moderna: Semestrale di teoria e critica della letteratura, vol. 11, no. 1-2, 2009, pp. 99-108. "Logique et Sublimité: Dupuy et Vertigo de Hitchcock." De l’auto-organisation au temps du projet. Autour de Jean-Pierre Dupuy – Colloque de Cerisy, Carnets Nord, 2009, pp. 1-17. "Introduction: Terrorism and Cultural Theory: The Singularity of 9/11." Cultural Theory After 9/11: Terror, Religion, Media, edited by Robert Doran. Spec. issue of SubStance, vol. 37, no. 1, 2008, pp. 3-19. JSTOR, www.jstor.org/stable/25195153. "Literature as Theory." Introduction. Mimesis and Theory: Essays on Literature and Criticism, 1953-2005, by René Girard, edited by Robert Doran, Stanford UP, 2008, pp. xi-xxvi. "Literary History and the Sublime in Erich Auerbach's Mimesis." New Literary History, vol. 38, no. 2, Spring 2007, pp. 353-69. JSTOR, www.jstor.org/stable/20058007. Translator. "Rupture and Literary Creation in Jean-Paul Sartre ." By René Girard. Contagion: Journal of Violence, Mimesis, and Culture, vol. 22, Spring 2015, pp. 1-16. JSTOR, www.jstor.org/stable/10.14321/contagion.22.1.0001. Translator. "Living with Others: Reciprocity and Alterity in Lévi-Strauss." By Marcel Hénaff. Rethinking Claude Lévi-Strauss (1908-2009), edited by Robert Doran. Spec. issue of Yale French Studies, no. 123, 2013, pp. 63-82. JSTOR, www.jstor.org/stable/23645875. Translator. "The Future of the Novel ." By René Girard. Contagion: Journal of Violence, Mimesis, and Culture, vol. 19, 2012, pp. 1-8. JSTOR, www.jstor.org/stable/41925330. "On the Use and Reuse of History: Reading Hayden White's The Practical Past." Is Theory Critical? UCI Critical Theory, 22-23 May 2016, U of California, Irvine. "The Ethics of Theory." Inteviewed by Rhys Tranter. RhysTranter.com, 5 May 2017, rhystranter.com/2017/05/05/robert-doran-ethics-of-theory/. 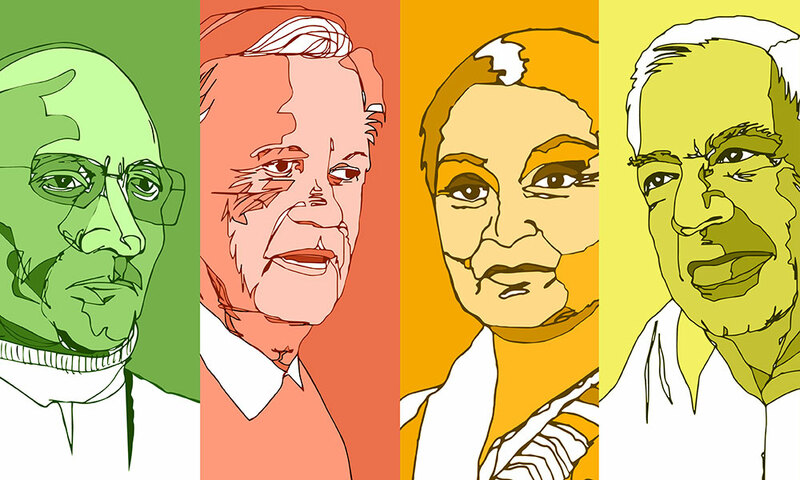 "An Interview with Robert Doran at the International Kant Congress 2015." YouTube, uploaded by Cambridge Academic Books, 22 Mar. 2017, www.youtube.com/watch?v=lSu5hYwxjGo and www.youtube.com/watch?v=_cg2g_BYFi8.